A major base maintenance input will be performed by AMAC Aerospace on a privately-owned A340-600 aircraft. This maintenance contract that has been awarded to AMAC by an existing client includes, a C-check and a landing gear overhaul in conjunction with a major cabin removal. AMAC Aerospace will also carry out the mandatory FTIS (fuel tank inerting system) installation according to Airbus’ service bulletins (SB). FTIS improves aircraft safety by reducing the volatility of the ullage, or air volume above the fuel, in an aircraft fuel tank. As fuel is consumed during flight, the fuel level in the tank is lowered and the remaining oxygen in the ullage is replaced by non flammable inert gas. Reducing oxygen in the fuel tank prevents combustion in the tank, even if a spark would be present. The FTIS technology includes state-of-the-art membrane gas separators, which reduces the oxygen concentration on the air entering the fuel tank. 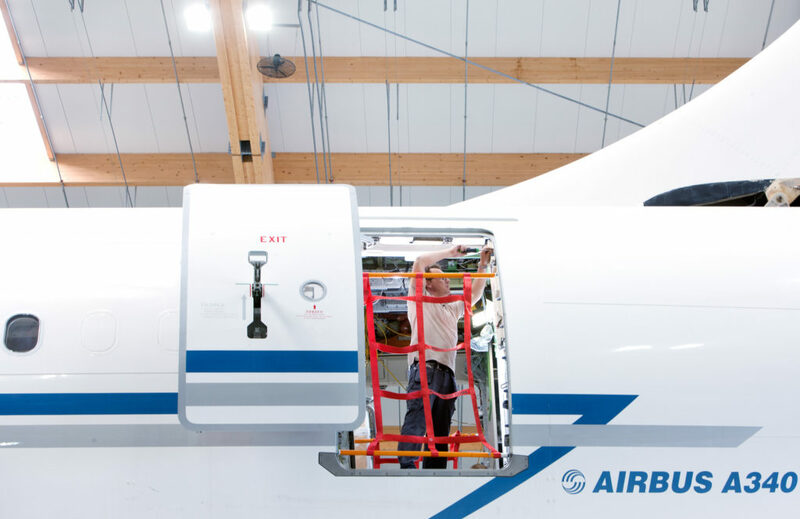 “By having performed FTIS installations on a number of Airbus narrow and wide- body aircraft, we have extensive experience and know-how and are happy to demonstrate this to our esteemed A340-600 customer” said Mr. Eric Hoegen, Director Completion Sales & Key Account Management, AMAC Aerospace.